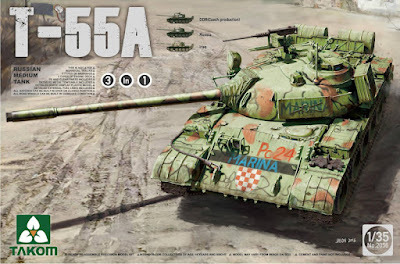 The Modelling News: New from Takom – T-55A & AMB2 kits to be released in 35th scale. 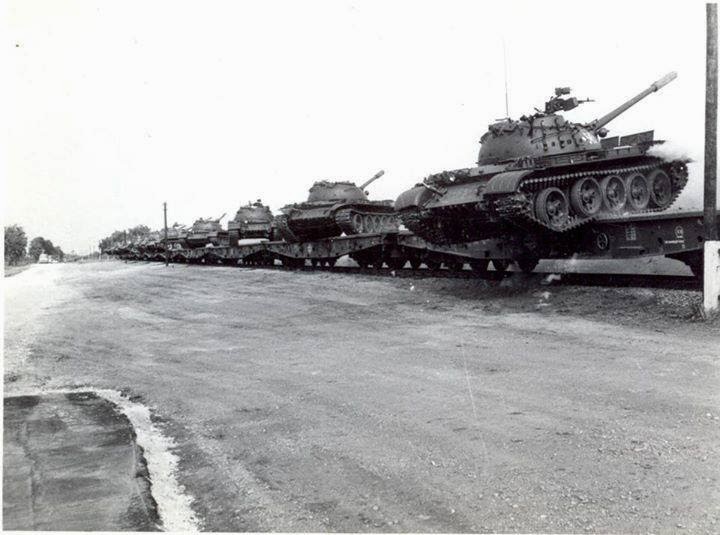 The T-55 medium tank has a fully tracked, five-road-wheeled chassis. This chassis has a space between the first and second road wheels and no return rollers. 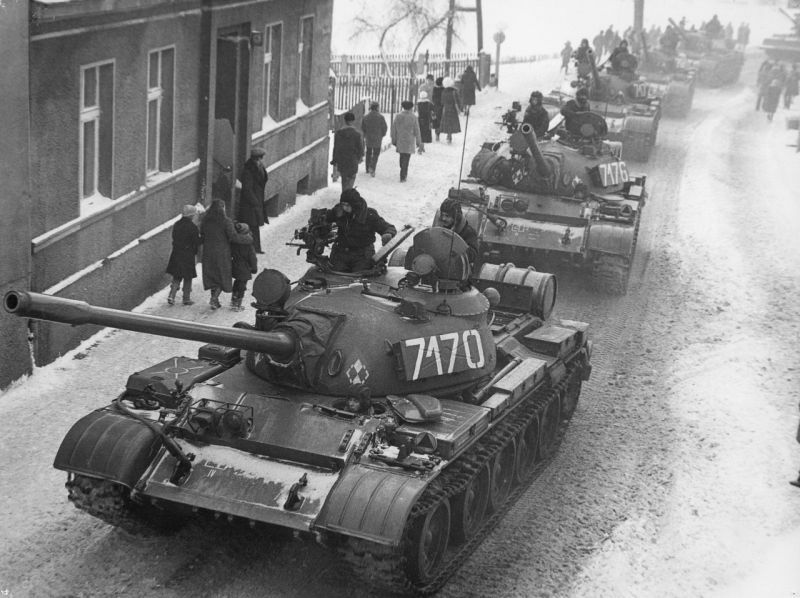 The T-55 has a low-silhouetted hull with a dome-shaped turret mounted over the third road wheel. It is armed with a 100-mm rifled gun, which has a bore evacuator at the muzzle. 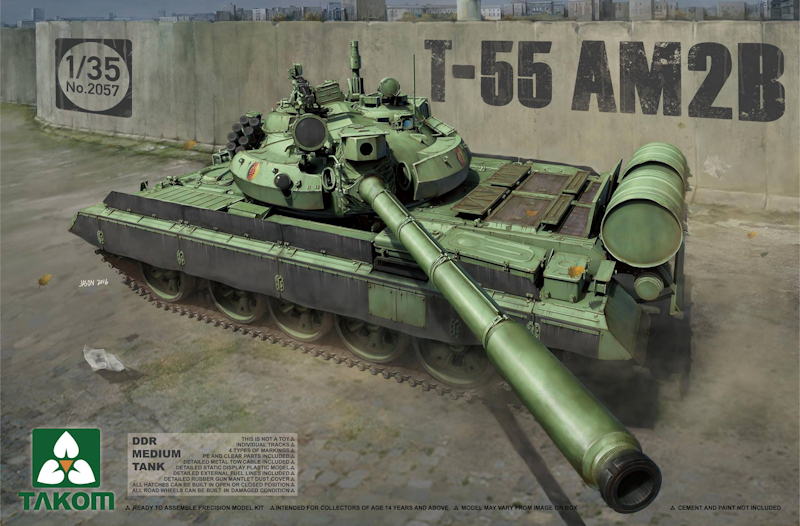 The T-55 combines a high-velocity gun with a highly mobile chassis, a low silhouette, and exceptional long-range endurance. Improvements over the T-54 include a larger V-12 water-cooled diesel engine with 580 rather than 520 hp, and an increased cruising range of 500 rather than 400 kilometres (600 kilometres with auxiliary tanks). The increased cruising range can go up to 715 kilometres with two 200-liter auxiliary fuel tanks which can be carried on the rear. 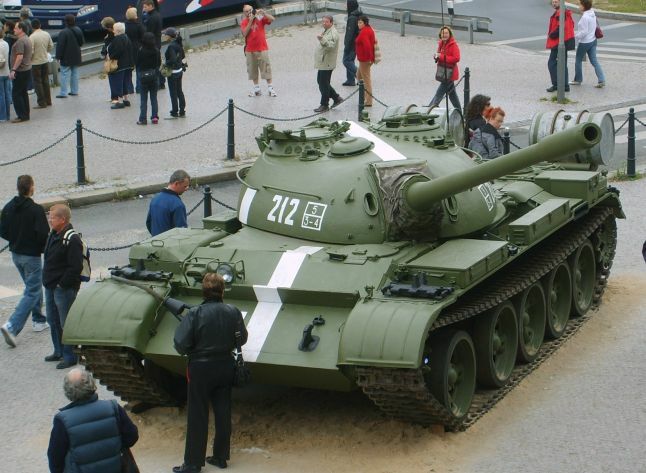 The T-55 has two-plane stabilization of the main gun rather than vertical stabilisation only. 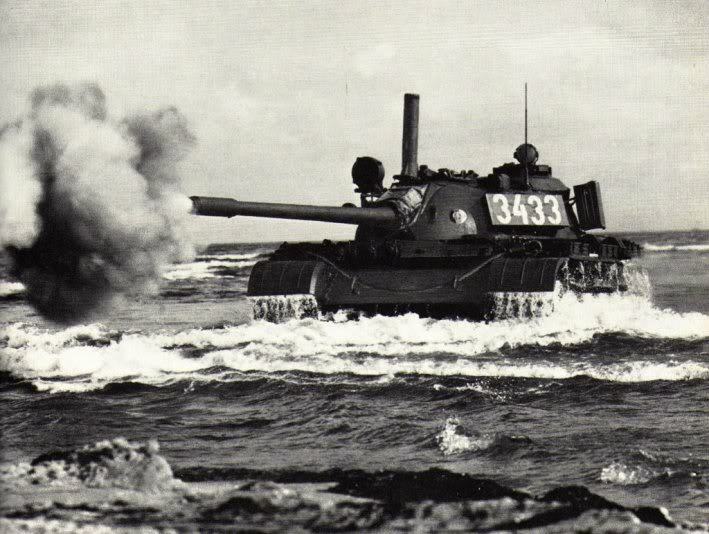 It also has a basic load for the main gun of 43 rather than 34 rounds. The T-55 can ford depths of 1.4 meters without preparation. It has snorkel equipment which enables it to cross depths of up to 5.5 meters at a speed of 2 kilometres per hour. This equipment takes about 30 minutes' preparation, but can be jettisoned immediately on leaving the water. 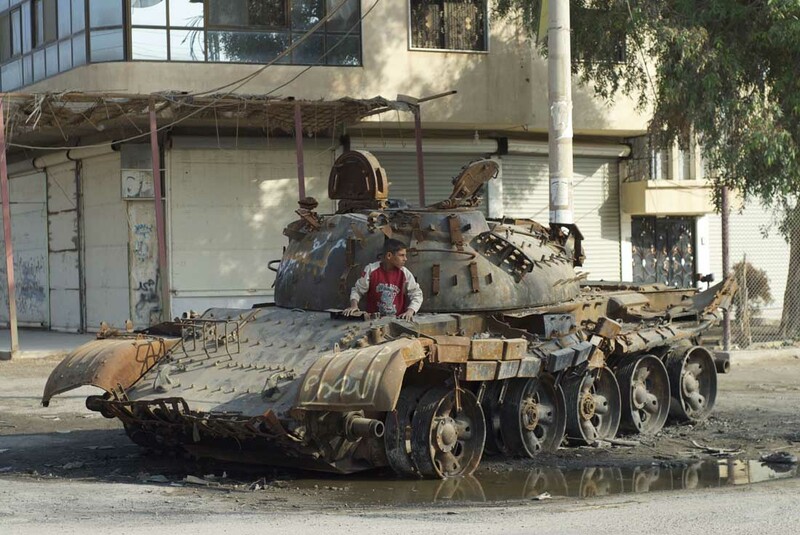 All T-55's have the PAZ radiation detection system; the T-55A also has an anti-radiation liner. Injecting vaporized diesel fuel onto the exhaust system can generate a dense smoke screen. 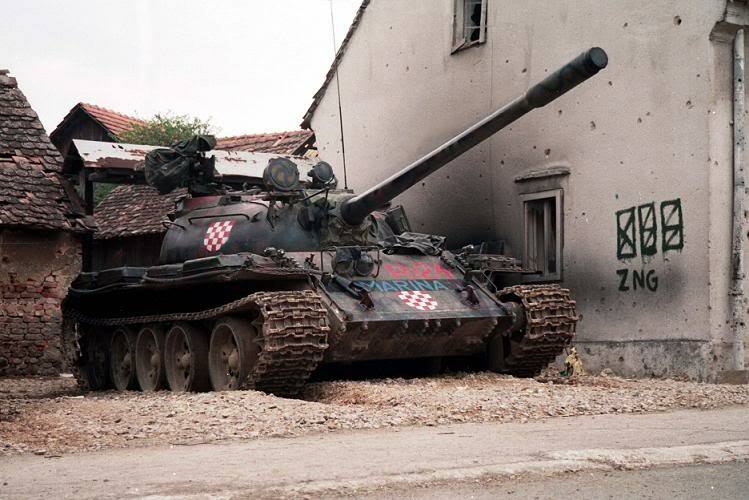 Czech version of T-55AMV with Kladivo fire control. 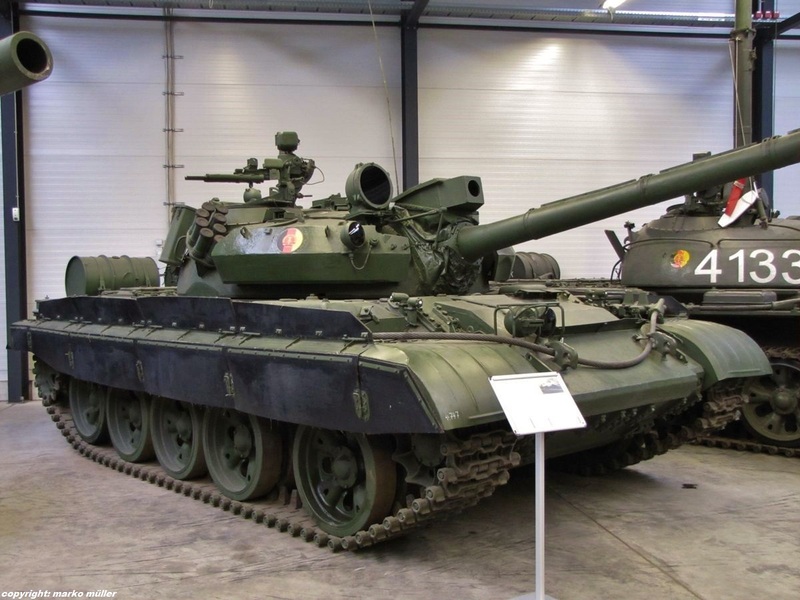 The former East German Army [NVA] operated a number of tanks known as the T-55AM2B MBT that is a heavily modified version of the well-known original Soviet T-55 MBT. 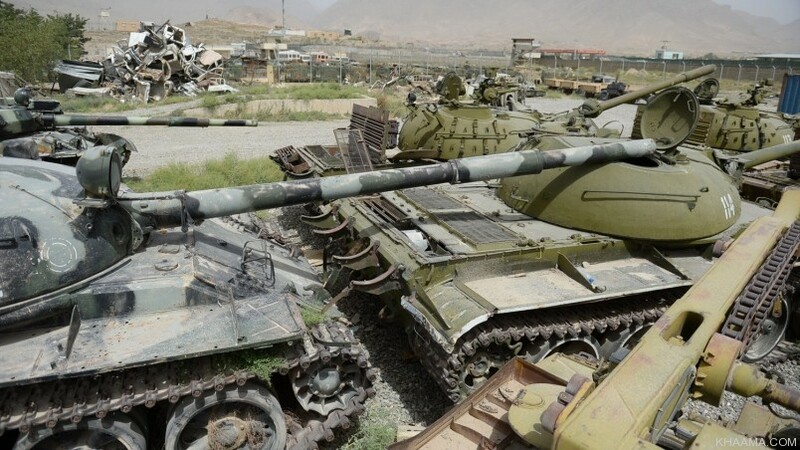 These greatly improved tanks are capable of firing the 100mm laser-guided 9M117 ATGM. 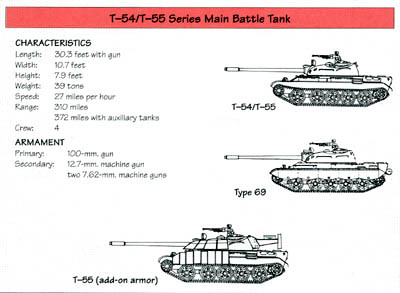 Although a more modern missile than the T-64B's AT-8, the 9M117 can provide some details concerning this type of weapon. 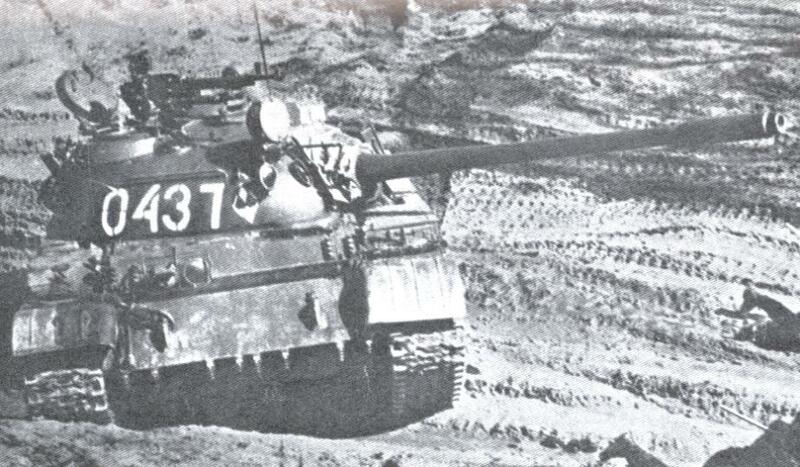 T-55AM2B has turret brow armour, laser rangefinder over the main gun, rubber side skirts, and thicker front hull armour than the T-55A. 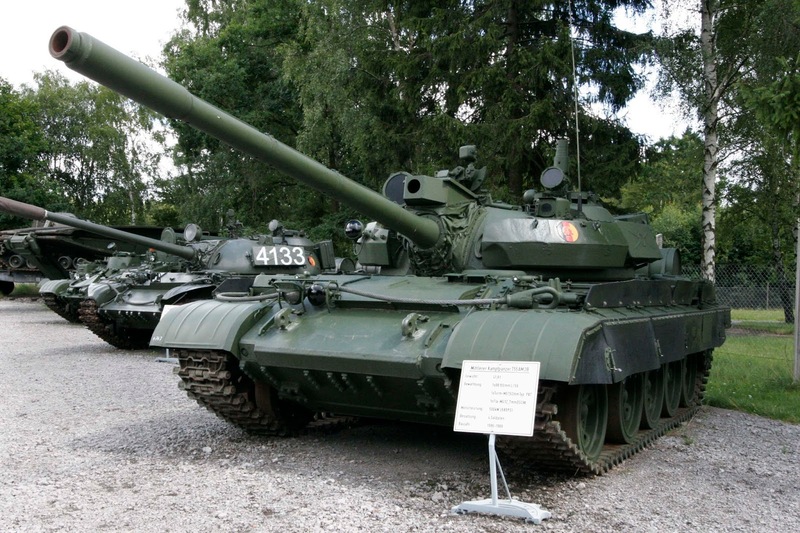 This boxing serves the Czech Production, Russian and Iraqi versions of the T-55A. The colourful boxing shows the Croatian version of this tank – one of five marking choices.